Highways in the Grande Prairie area will be maintained by the same company for at least the next seven years. The Government of Alberta has signed new contracts with Ledcor, which will come into place after the current ones expire on July 31, 2019. There is also a three-year extension option based on its performance. 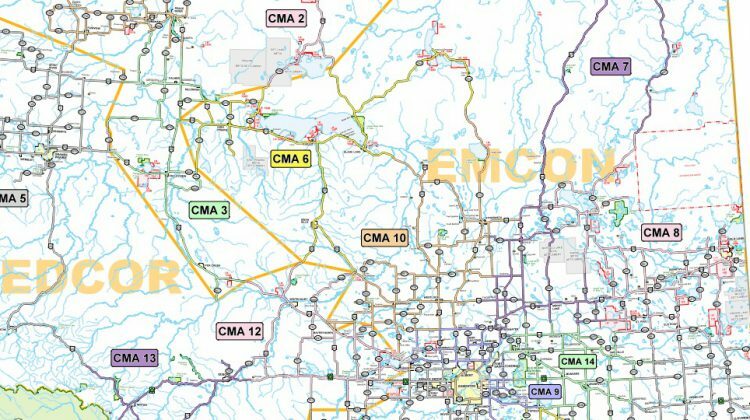 For the past several years, Ledcor has been responsible for provincial highway contract maintenance areas 5, 12, and 13, which cover Grande Prairie, Hinton, Edson and Whitecourt. Wayne Wood with Alberta Transportation says the zones have been redrawn so that will become just two contracts, but its coverage area will remain the same. Five other highway maintenance contracts have been awarded, and more are in the works for this fall. The companies are being chosen based on a new hybrid performance-based model, which evaluates applicants 60 per cent on cost and 40 per cent on technical evaluation. That measures performance on services like snowplowing, salting and sanding, and fixing potholes. Maintenance of Alberta’s highways has been done by private contractors since 1996. LaPrairie Works has the contract for High Level, Manning, Peace River, Valleyview and Fox Creek until July 31, 2022.